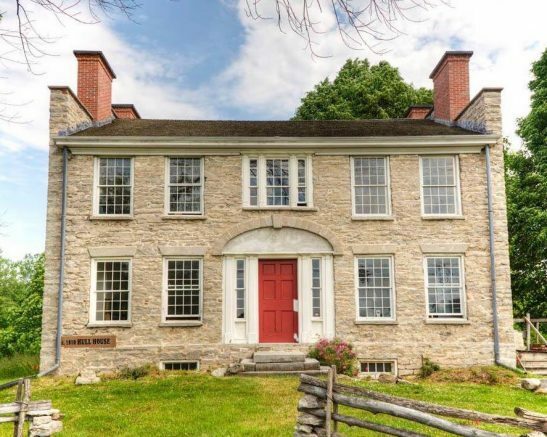 On Sunday, June 3 from noon to 4 p.m., the public is invited to help celebrate the grand re-opening of the Hull Family Home & Farmstead, following the completion of the most recent phase of its 14-year, $700,000 effort to return this important historic home to its former glory. The celebration is the first of many public, family-friendly events scheduled in the coming months at the House, located at 5976 Genesee St. in Lancaster. Guests who attend this free grand opening celebration will have the opportunity to tour the meticulously restored interior of the home built in 1810 to house Revolutionary War Veteran Warren Hull, his wife Polly and their children. Guests can also learn about local history, play period games, enjoy delicious refreshments and enter their favorite baked dessert in the baking contest and hear more about additional restoration plans, which include rebuilding or refurbishing the threshing barn, privy, smoke house, root cellar and animal pens, as well as the plans for a kitchen garden and visitors’ center. Additional information about the grand re-opening celebration, sponsored by the Hull House Foundation and the Lancaster Historical Society, can be found at www.hullfamilyhome.com or by calling 837-0893. Be the first to comment on "Re-opening celebration to kick off events at the Hull Family Home & Farmstead"